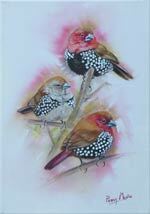 Some of Penny's latest art work, recently added to the website. 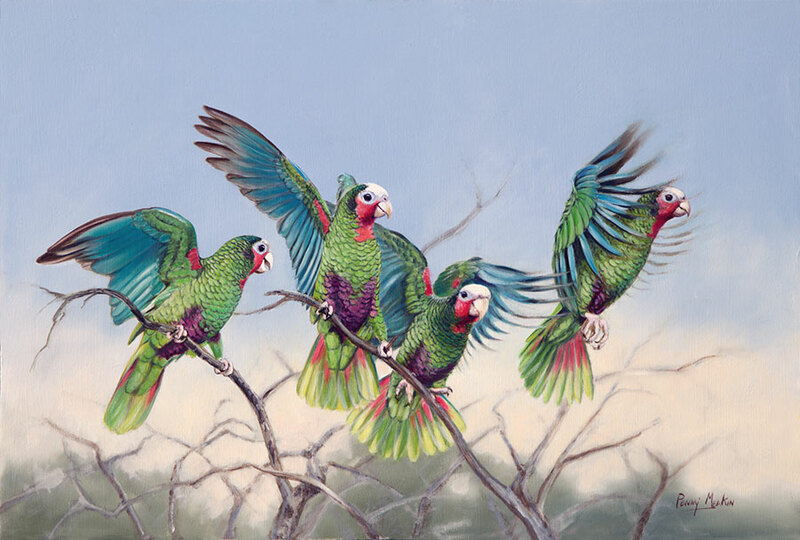 "Wild and Free, Cuban Amazons" Oil on gesso panel, unframed, 780 mm x 512 mm. 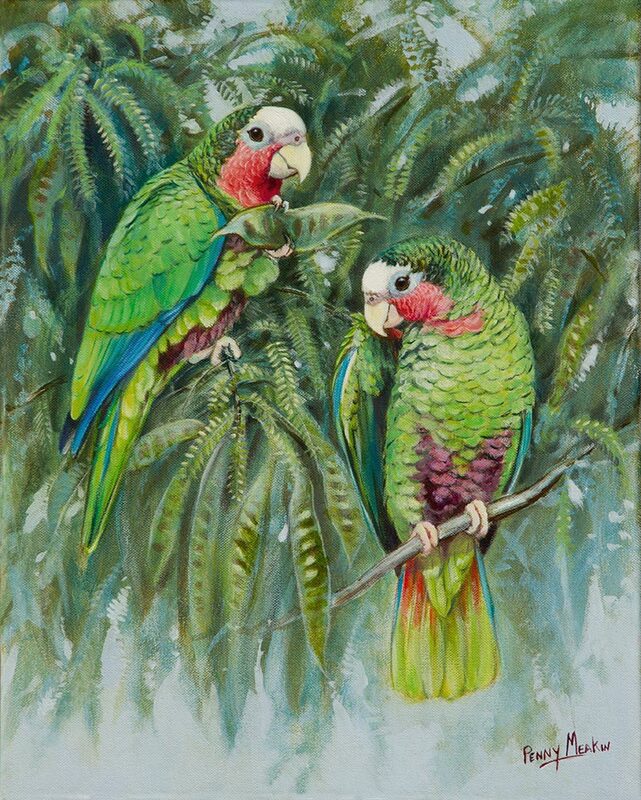 "Turquoise-fronted Amazon" Acrylics on canvas, unframed, 400 mm x 500 mm. 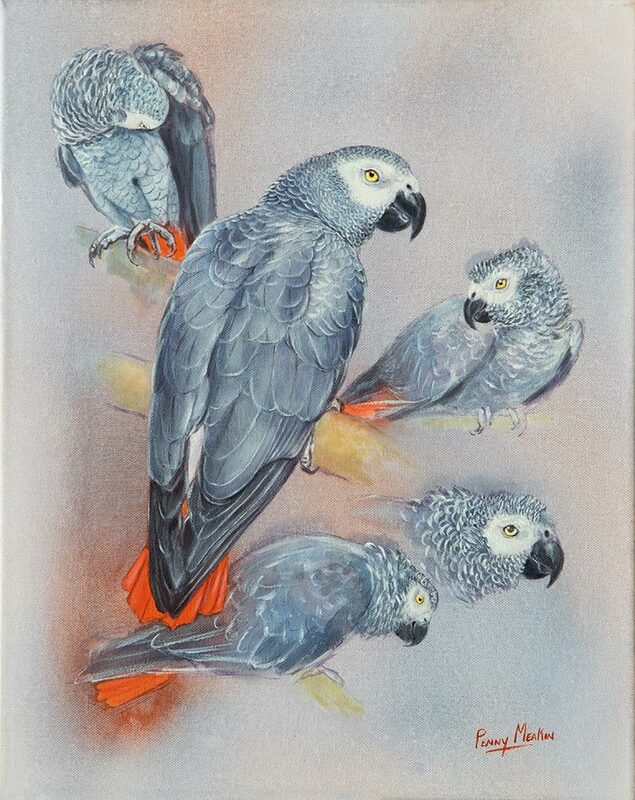 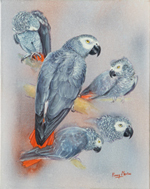 "African Grey Parrot studies" Acrylics on canvas, unframed, 400 mm x 500 mm. 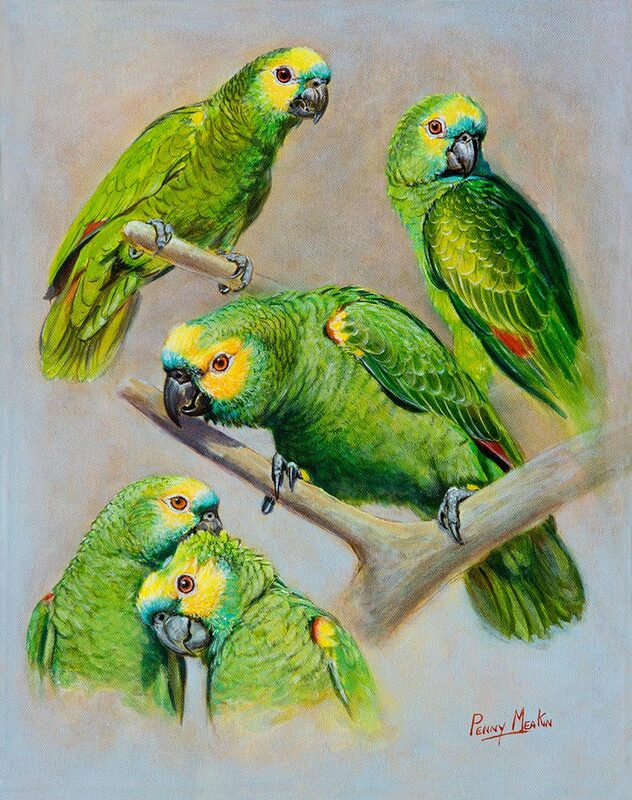 "Cuban Amazons" Oil on canvas, unframed, 400 mm x 500 mm. "Pink-throated Twinspots". Acrylics on box canvas, 210 mm x 290 mm. 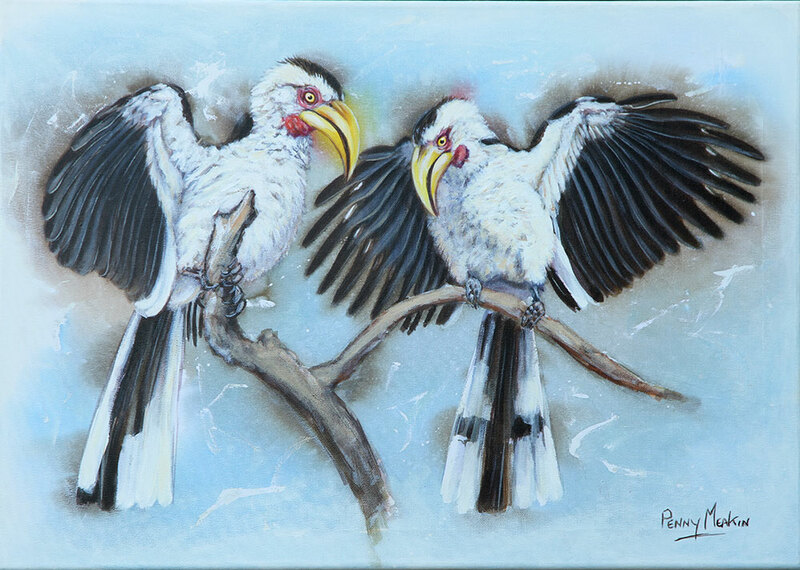 Yellow-billed Hornbills. 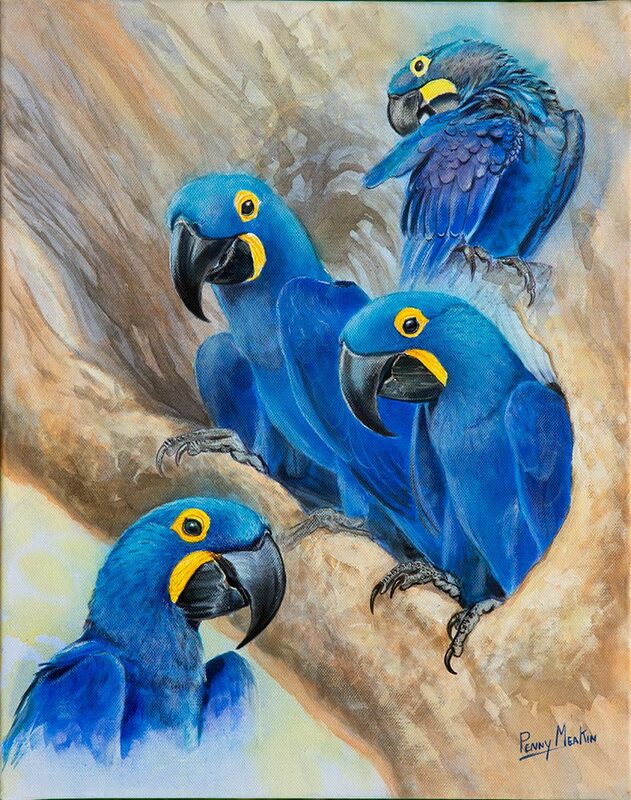 Acrylics on canvas, 400 mm x 300. 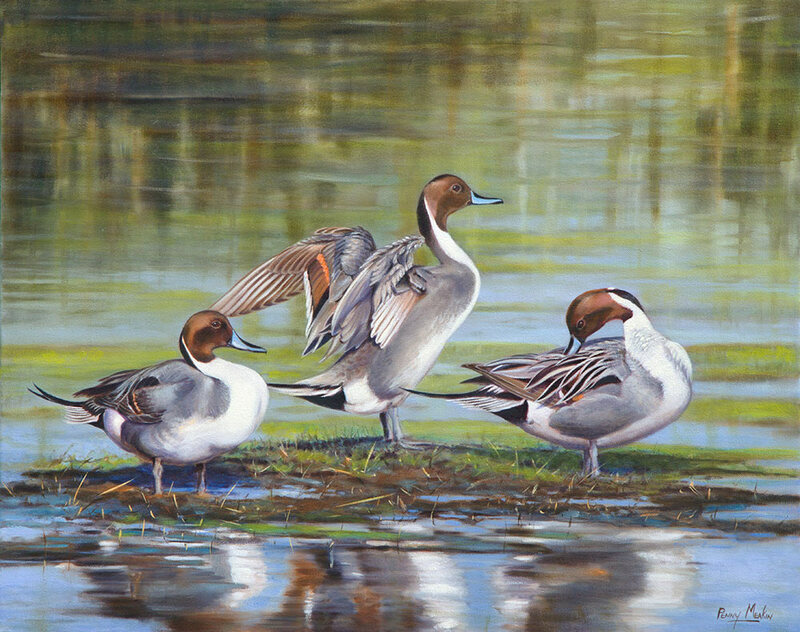 Available at The Green Gallery.